The air show described here was the final display for the Mosquito in New Zealand. On Tuesday dismantling commences for shipping to its owner in Florida, but we have had ten glorious weeks of sight and sound. On Friday lunchtime, it did a flypast over Wellington, including two very fast low passes down the runway [and from my observation point I was looking down in it]. The passenger next to the pilot was no less a person than the last surviving Dambuster pilot, Les Munro, aged 94, who observed "it all feels so familiar"! What a wonderful gesture to a truly nice guy! The passenger next to the pilot was no less a person than the last surviving Dambuster pilot, Les Munro, aged 94, who observed "it all feels so familiar"! What a wonderful gesture to a truly nice guy! Have to concur with the above! 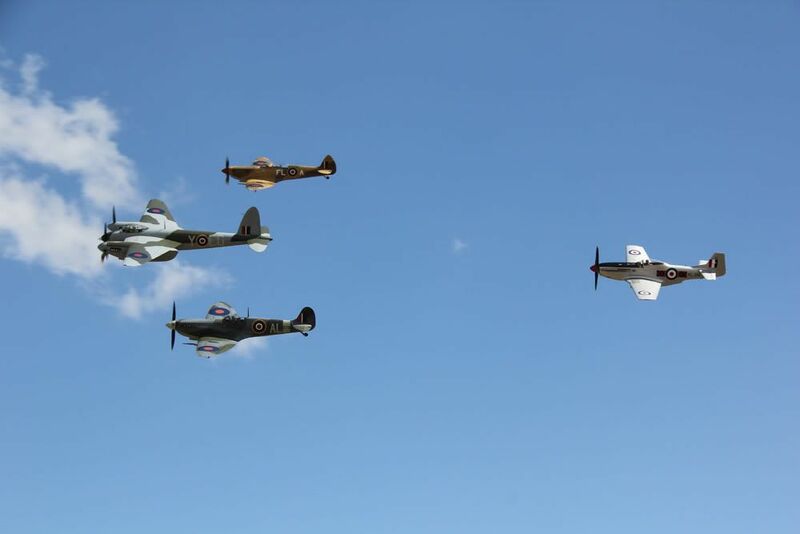 The end of the air show was a Mossie led formation with Spitfires, Mustangs and Kittyhawk. A truly impressive sight and sound which I cannot see being repeated. Then the Mosquito wrapped it up with several fast low passes. Great job by all concerned. There were a good number of Aussies at that show on Saturday, and quite a few from the UK! The final passes by the Mosquito were absolutely superb, on a perfect clear day! I couldn't find anything for Waikata but I did find these for Wairarapa. Enjoy! I would have preferred this one without the music. No music with this one, just the sound of the engines. The end of the airshow and i don't know why its there twice !! Les himself on a news item. Doesn't look bad for his age. How will it be transported to Virginia? That is the reason it was here, the main wing/spar is too big for a standard shipping crate so they had to get one made. The fuselage will go in a standard (60'?) crate and both will be on the boat to the US soon. It was back up in Auckland and being pulled apart on Tuesday. I've got some great shots of this aircraft in the Virginia Beach Military Aviation Museum being put back together by the techies from NZ. 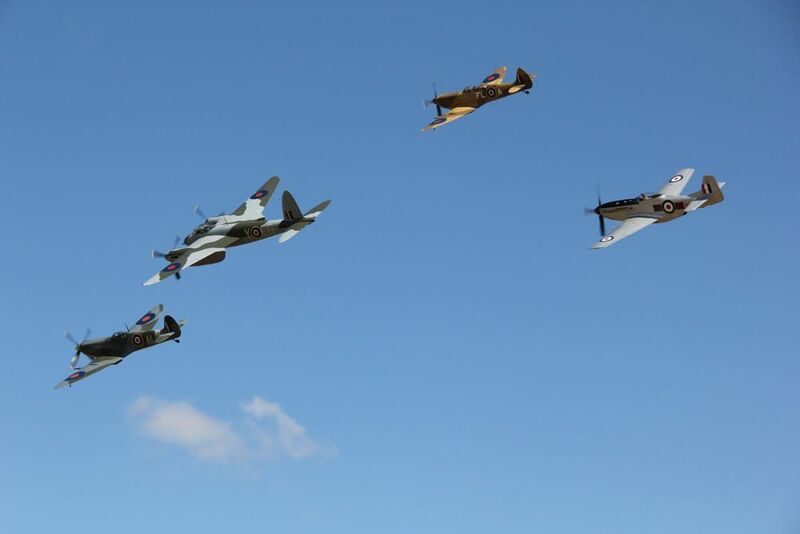 Hopefully it will be flying in time for the Warbirds Over The Beach Air Show in May. 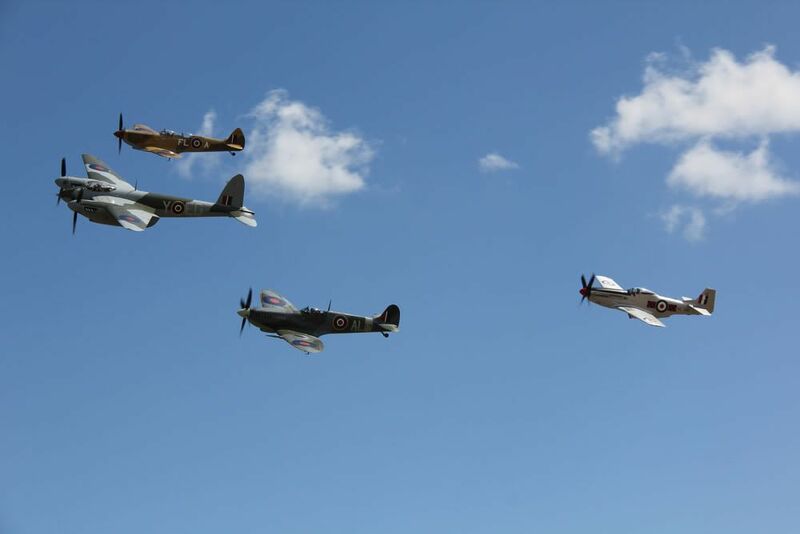 It'd be a bit special to see the Hurricane, Spitfire, Lancaster and Mosquito airborne together - amongst others. Unfortunately I cannot work out how to get them from my computer and pasted onto the thread. If someone wants to send me an idiot guide explanation by PM, I'll get them up. I had a note saying I couldn't paste attachments.....? Dear God. Glad it's a nice easy process then. Posted on behalf of Scuttled. Lovely snaps of a wonderful aircraft Scuttled. Thanks for putting those up Brian, massive IT fail from here. Got a couple more with the engines now on. I'll send them to you again if you can assist again?